A pump track is a specially designed skills area for mountain bikers, featuring smooth, banked turns-it can feel like being on a roller coaster! They're fun for riders of all ages and ability levels, and a great way to brush up on skills for riding trails, too. 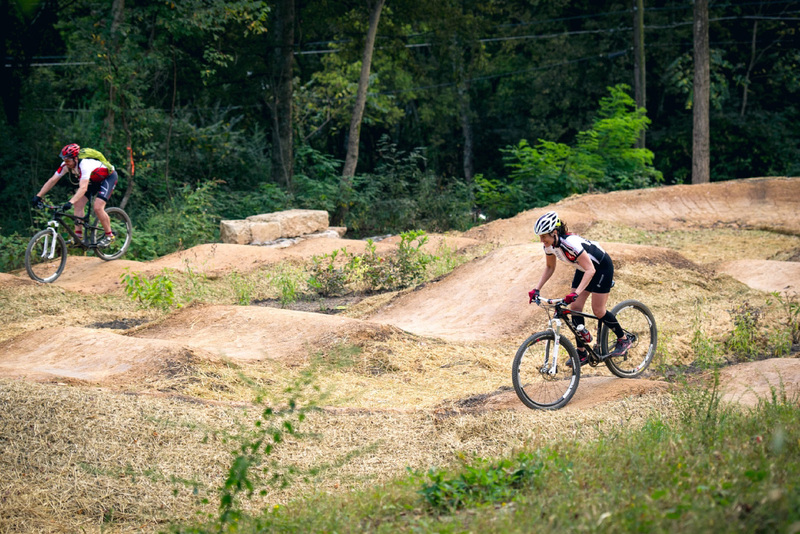 In Chattanooga, we've developed a pump track at a new trailhead along Spears Avenue, with access to Chattanooga's iconic Stringer's Ridge Park. In addition to being a great place to ride, the pump track is the city's first green infrastructure demonstration project: a park that helps manage stormwater, reduce flooding, and recharge the city's water supply. This project is made possible by the generous donation of land by Greg and Carlene Vital.